and what makes them one of the top massage table manufacturers! Custom Craftworks Tables are made of high-qualty, durable materials that can last for many years. Excellent construction of these massage therapy tables and chairs is a priority in this reputable company. Best tables by Custom Craftworks! Custom Craftworks was founded in 1986. It's mission is to support the work of massage therapy professionals and educators by building the best massage tables and chairs available". As other manufacturers of discount massage tables strive to be first in sales, this company's only goal is to produce thefinest quality products and to serve practitioners with a dedication to their clients. They state on their website, "our success is to give some of what we earn back to others, particularly to organizations devoted to helping disadvantaged children". Carrying just about all supplies a massage therapist needs for their business, the companies website is also easy to navigate and ordering is easy. 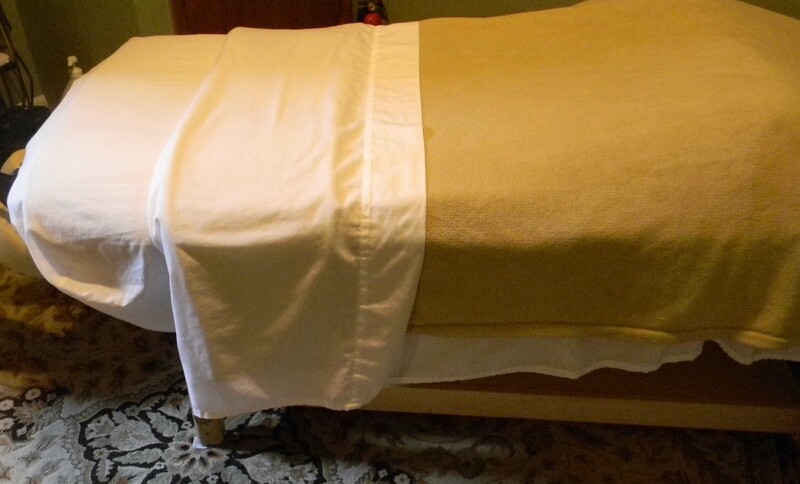 The Read more about the advantages and disadvantages of owning a massage table with pregnancy insert verses a regular table with pillows, and when and why you may want to make the investment in this company's specialized table for pregnant clients. Custom Craftworks Athena Deluxe Portable Massage Table Package is a highly rated quality massage table. It has optional breast recesses and pregnancy insert that can be purchased separately. Height Range: 24.5" - 34.5"
The massage table packages offer great savings for therapists and provide essential products for starting a massage therapy practice. Choose a Custom Craftworks products for your practice.